Whale Tagging: Got You, You're Dead! There is plenty that scientists have learned, and will continue to learn by using non-invasive research methods. If we get the same amount of information, if not more by such methods that do not endanger the health or lives of these killer whales, then it is our ethical obligation to abandon "tagging" and embrace alternative research strategies. A plan to tag endangered killer whales that ply both sides of the international border between British Columbia and the United States is being met with growing opposition in Canada. 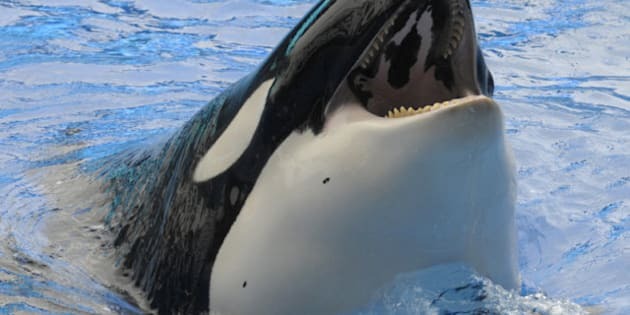 Despite efforts between the two countries to develop a recovery strategy for the endangered species, a unilateral decision was made by the United States National Oceanic and Atmospheric Administration (NOAA) to attach killer whales with satellite tags. 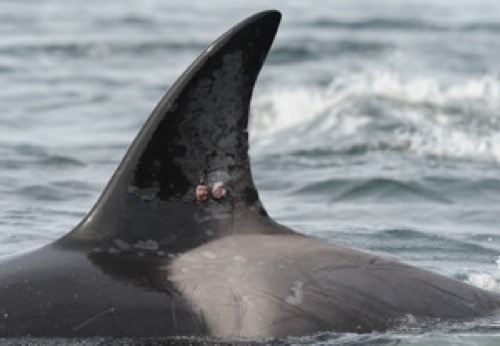 The Raincoast Conservation Foundation contends that the nominal amount of information generated from these tags, attached to the fins of killer whales, does not justify the risk they might incur. This is a small, exceptionally vulnerable population of whales; any individual loss as a consequence of infection from these tags, would have much broader consequences. Simply put, this type of invasive research isn't worth the risk. While researchers on both sides of the border would like to know more about the habits of killer whales, especially during the winter, these tags are unlikely to answer their questions. These tags would provide location data only, and only for the animal that's been tagged; not necessarily for the pod of whales at large. Furthermore, this information will only be relevant for as so long as the tag remains pinned to the whale's fin. These animals can live up to 90 years, and having a mere snapshot of their position in these waters will not paint the picture of their ecology and biology that researchers are in search of. Note, the tag is designed to come off the whale on the basis of rejection by the animal's immune system. This can happen in as little as three weeks. These tags won't provide information on the depths the whales were feeding at, what they were feeding on, and what their distribution was being driven by. These tags will be unable to offer any of the biological or ecological context that would be necessary to make proper management decision based on food supply or critical habitat. Such information would have to be gathered separately. The above photo, taken in the Strait of Georgia in Canadian waters, shows the dorsal fin of a transient killer whale after satellite tagging. A pair of serious wounds can be seen at the site where the barbs had been sheared off the animal after the whale rejected the tag. Southern resident killer whales are endangered for several reasons: chemical pollution, noise and disturbance levels, as well as a decline in the supply in salmon. With a weakened immune system from exposure to pollution, the wounds that would be incurred from tagging will be more readily infected; this can lead to serious illness, or even death for the whale. Furthermore, the close following and harassment that goes hand-in-hand with attaching these tags will do nothing but increase stress level amongst the species. The Raincoast Conservation Foundation has been a long standing advocate, and practitioner of non-invasive research methods. For example, our decade-long study of wolves along the coast was done without any collaring or capturing of any wolves. Instead, we utilized the "facts from faeces" approach: gathering a myriad of information, such as dietary and distributional data, from minute quantities of DNA gathered from over a thousand wolf scats collected over several years of intensive field work. In their paper, "Faecel-centric Approaches to Wildlife Ecology and Conservation; Methods, Data and Ethics," published in the scientific journal Wildlife Biology in Practice, Raincoast carnivore scientists Chris Darimont, Heather Bryan, and Paul Paquet, along with the University of Victoria's Tom Reimchen, weighed the comparative value, and ethical considerations of invasive and non-invasive research methods. In this case, the carnivore research subjects were coastal wolves, and what these scientists discovered was easily transferable to the "wolves of the sea." In short, their contention was that when the two methods are equally effective in answered the required questions, the non-invasive method becomes the only ethical option, a perspective, they point out, that is increasingly codified as policy governing research activities. This article was co-authored with Raincoast Conservation Foundation biologist Misty MacDuffee.